The WA Government is introducing the Petroleum Legislation Amendment Bill 2017 to enable the sharing of petroleum agreements across Commonwealth and State jurisdictions. The Bill follows the discovery of three rocky outcrops, the Golden Rocks, which were detected in a satellite sweep of the North Scott Reef area in WA’s north, in 2014. This discovery prompted Geoscience Australia to redraw maritime boundaries, providing a potential new source of State Government royalties. 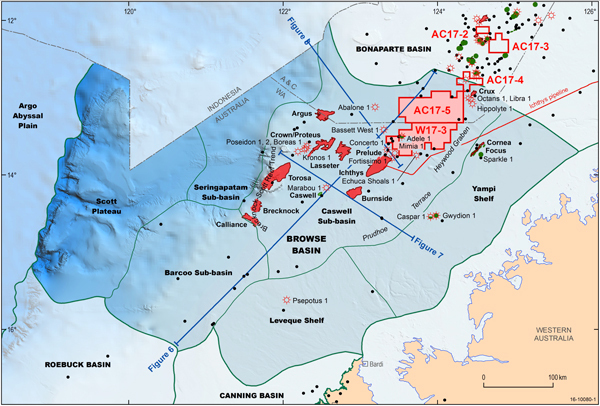 As a result of the boundary changes, WA’s apportionment share of the Torosa gas field increased from 10 to 65 per cent, potentially generating about $1.34 billion in royalties to the State when production commences. The Bill resolves a deficiency in the State petroleum legislation, highlighted during the drafting of the Torosa Apportionment Agreement signed by the State, Commonwealth and the Woodside Browse joint venture in July 2015. It will enable future changes to be made to maritime boundaries between State and Commonwealth offshore areas. The Commonwealth passed its equivalent legislation in February 2017.